U.S. stocks closed higher Monday. What goes up ... keeps going up. At least, that's the mood in the markets so far this month. 1. Defying gravity? After closing at new record peaks, U.S. markets are poised to push even higher, with stock futures edging up and most major global indexes in positive territory. 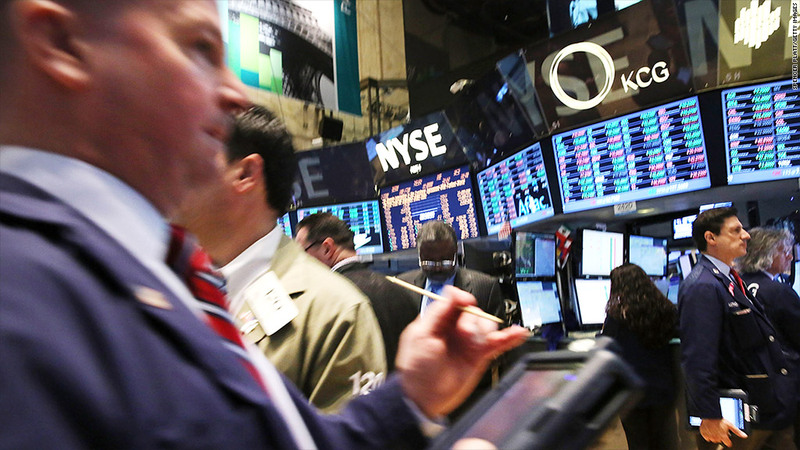 The Dow rose 0.2% and the S&P 500 rose 0.3% on Monday. The tech-heavy Nasdaq rose 0.4%, hitting its highest level since the peak of the dot-com boom in March 2000. 2. Alibaba bonanza: The world's biggest online shopping day has already generated record sales over Alibaba's platforms. More than $2 billion worth of goods was sold via Alibaba (BABA) in just the first hour, and last year's record was passed early afternoon in China. 3. International markets overview: European markets were strolling higher in early trading. Shares in Vodafone (VOD) were up 5% in London after the mobile operator reported revenue growth of 9% in the first half of the year, and raised its dividend. Asian markets ended mixed, with most indexes little changed on the day. The lone exception was Japan's Nikkei, which gained 2% as the yen weakened further. The ruble was under pressure again after Monday's brief respite from last week's plunge. Russia's currency was trading 1% weaker against the U.S. dollar. 4. Earnings: Quarterly reports continue to trickle in. DR Horton (DHI), a company that builds single-family homes, will report earnings before the opening bell. Fossil (FOSL) will report after the close.